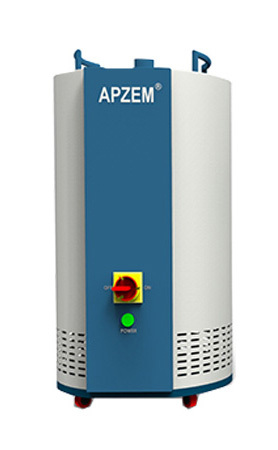 Mini Autoclean Laser Fume Extractors - Apzem India Engineering ..
Apzem® Mini Auto clean Series Laser Fume Extractors are specially designed for entry level Laser Marking , Engraving and cuttingapplications that generates large amount of fine dust particles and small amount of fumes. Auto clean series extractors comes with automatic pulse clean features enabling continuous duty and lesser pressure drop across filters. It is highly recommended for Closed type CO2 Laser engraving – cutting machines, and it protects the Operators from inhaling hazardous fumes and particulate matters and prevents the dust being settling on Lens and other components of the machine minimizing maintenance breakdowns. And also it increases machine quality of the product being Lasered. Mini Auto clean Fume extractors comes with very fine deep pleat cartridge filters as primary filters. Coupling with auto clean features makes it one of the best choice for applications generating more dusts over fumes and eliminates tedious manual filter cleaning efforts and saves machine maintenance breakdown time. A compact and uniquely designed, and modular extractors catering for wide range of Laser Marking , Engraving & non metal cutting applications. Flow : 175 to 500 CFM. Filter cleaning : Provided with automatic Pulse cleaning . Speed control can be provided on request.